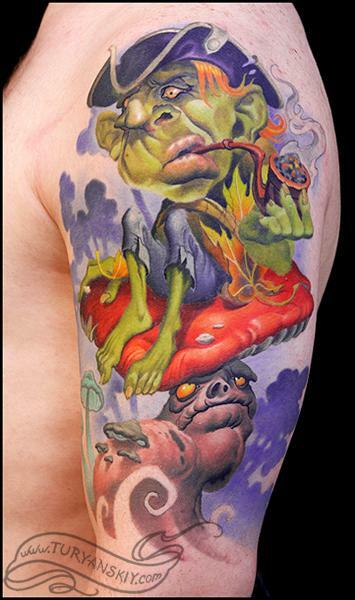 Custom color Smoking Leprecon tattoo. About 20 hours. Healed. 2o11.